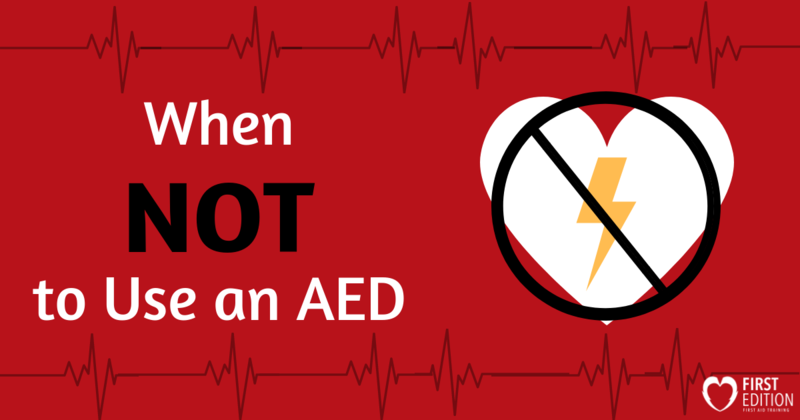 When NOT to Use an AED - First Edition First Aid Training Inc.
How wonderful is it to think that a single electrical device can ‘re-boot’ a heart and save a life! Amazing! It is the ultimate goal to have AEDs (automated external defibrillators) easily accessible all over the world – in public places, homes, sports arenas, and everywhere else people like to go. Of course, it is important to understand how to use an AED (which you can learn in a First Aid course). As well, it is important to know where to find one (check out our blog for the best locations! ), but another question to ask yourself is, do you know when NOT to use an AED? Take a look at these scenarios when an AED should not be used – and be more aware of how to properly help in emergency situations! Although AEDs are often categorized as ‘life-saving devices,’ this does not mean that they can be used for every medical emergency related to the heart (or body for that matter!). One of the crucial things to remember when using an AED is that if they are breathing – do NOT use a defibrillator (luckily, defibs will not work on someone with a pulse, but save yourself the time)! Breathing means that their heart is pumping in a normal rhythm, and blood and oxygen are still being delivered to the rest of their body and brain. If the individual expresses that they are still experiencing pain, discomfort, or other medical symptoms despite being able to breathe (some likely causes could be stroke, heart attack, heat stroke, etc. ), call 911 and continue to monitor and assist the patient with your first aid knowledge until help can arrive. Although it may seem like common sense to not mix electricity and water, it is necessary to discuss this again when using an AED is in question. In instances when you come across someone who has been (close to) drowning, they may need the attention of an AED. In drowning emergencies, the patient will no longer be breathing, will be unconscious, and you will not be able to find a pulse. 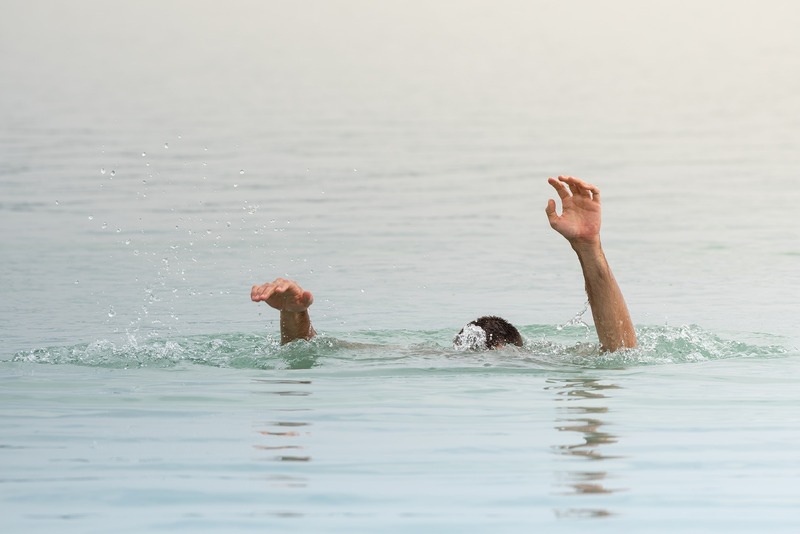 When you do find someone in the water who needs the attention of an AED, always remove them fully from the water (or any gathering water/puddles) before using the AED. Using your own clothing, a towel, or any other dry item, dry the patient off as much as possible prior to sticking on the defibrillator pads – this will help to ensure that the electrical current is correctly reaching the heart, working to ‘kick’ it back into a regular rhythm once more, and keeping everyone else in the vicinity safe. Remember to not touch the patient while a shock is being delivered – and step away from any water around the patient. What many do not realize (thanks to incorrect information provided on television shows) is that there is a big difference between a heart attack and a cardiac arrest. 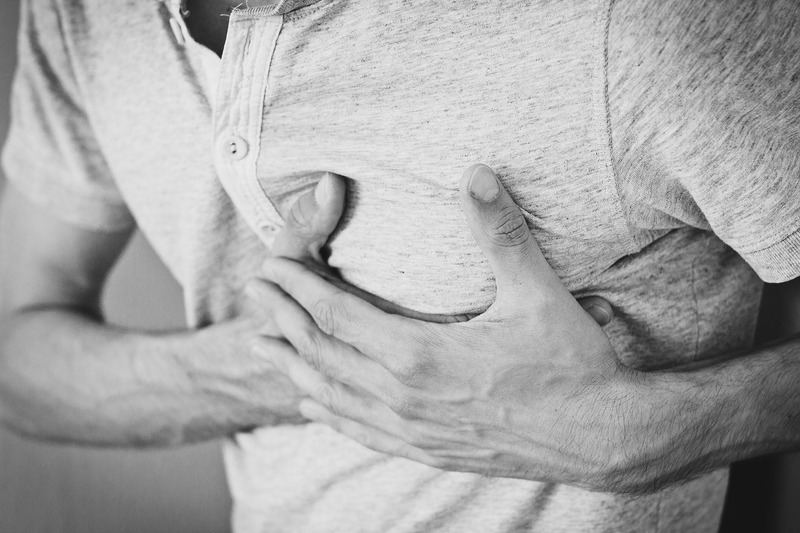 A heart attack is when an individual’s blood flow is blocked and oxygen is no longer being brought to the heart. Most people suffering from a heart attack will be conscious, aware, and be able to speak. It is only when someone’s heart attack turns into a cardiac arrest (when the heart starts to beat sporadically, resulting in unconsciousness and a lack of oxygen being delivered to the brain) should use an AED. or family member who identifies that they have written documentation that they do not want to be revived. If this is the case then you are not to use an AED on the individual. On the other hand, if you are not aware of a person’s DNR order, do not see any markings indicating this choice, then you do not need to worry about later repercussions. In Canada there is an act called the Good Samaritan Act which removes you from all liability and protects your choice to act and help another human being. Want to know more about the Good Samaritan Act and what it includes? We have the answer! Knowing when and when not to use an AED is crucial to be able to assist others to the best of your ability. But remember, asking someone to retrieve an AED right away, regardless of the situation, is always recommended (you never know when things could take a turn for the worse)! Always call 911 immediately, and then ask someone to bring you an AED – you never know when an emergency may turn into a cardiac arrest! Better to be prepared and ready to help! Don’t feel confident in your ability to save a life? Why not register for a First Aid course and learn how! First Edition offers wonderful, hands-on first aid courses that will teach you what you need to know about confidently and skillfully jumping to action!